If you ended up with diamond because of a broken romance, inheritance, or a stone found in a parking lot, contact us to get the maximum dollars from your found treasure. Diamonds have great value. Whether you obtain a diamond from family, a broken engagement, or luck, we can help you determine the value and purchase the stone in our discreet and secure studio environment. Many clients bringing in gemstone would like to turn these into cash they can use. At Richard Dolgin Private Jeweler we specialize in buying your unneeded gems and paying you the highest prices in the Kansas City area. Your diamond from any source is a true asset. Like a house or car your jewelry has value that you shouldn't underestimate. In our studio we have the professional tools to evaluate your diamond and determine a realistic market value. In our custom jewelry shop our specialty is creating custom heirloom jewelry. We can take your gem and turn it into a new piece of jewelry art for you and future generations to enjoy. 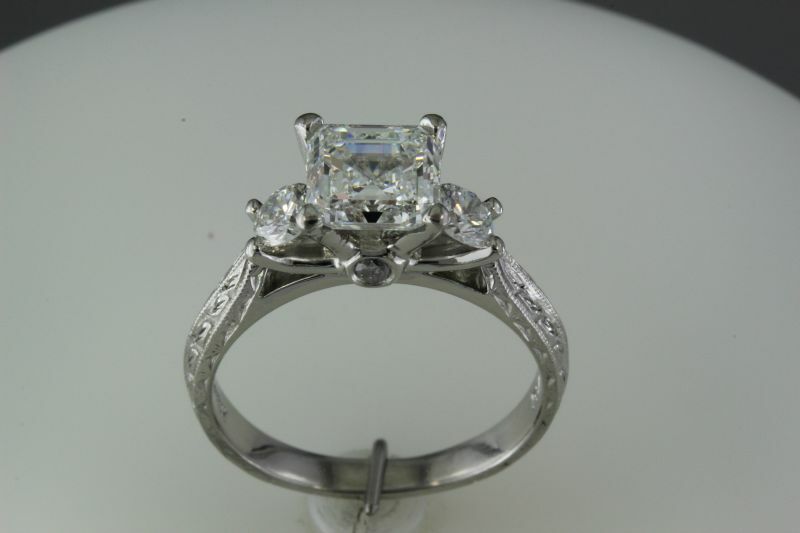 In the discreet privacy of our Overland Park studio we can help you evaluate your gems and using our years of experience we can help you make the best decision. I enjoy being a consultant and seeing the results of our work for you to enjoy. Beautiful cushion cut purchased from an individual. Princess cut diamond purchased from an estate. Beautiful princess cut diamond purchased in an platinum ring. Round diamond purchased from an estate. European cut diamond in platinum filigree 100 year old ring. For whatever reason you have a diamond to sell we at Richard Dolgin Private Jeweler will treat you with discretion and try to get you the highest price possible.